On the right hand column of the periodic table, you will see elements in group 0. These are called noble gases and all of them are non-reactive or inert. 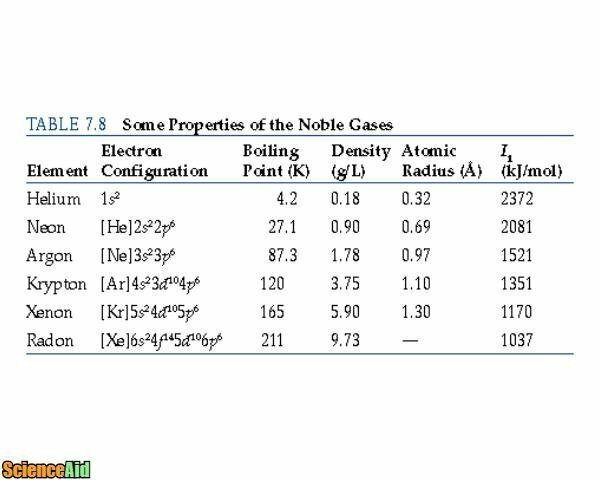 The nobel gases have high ionization energy and very low electron affinity. Because of this, they considered non-reactive. With the exception of helium, the noble gases all have s and p electron coverings and are unable to easily create chemical compounds. 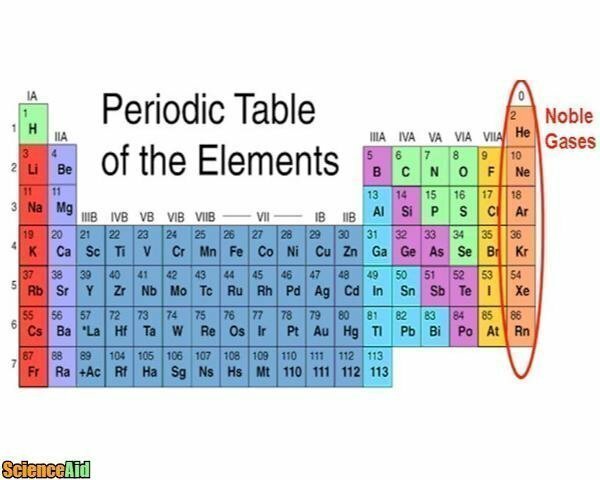 They are all considered non-metals. Because they are non-reactive and chemically inert, the noble gases have the largest ionization energies. 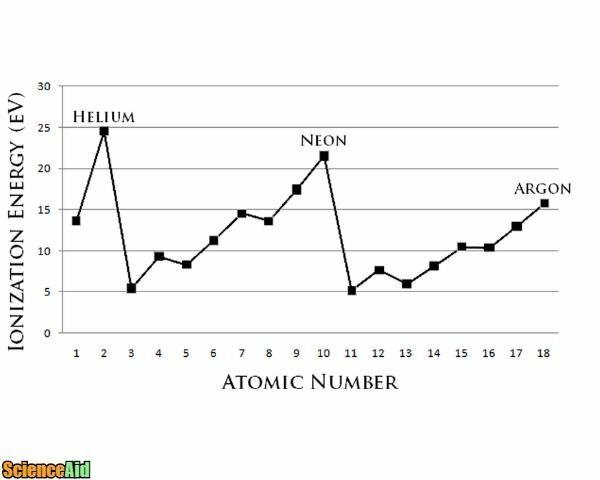 Noble gases also have shared trends that change (either increasing or decreasing) as you move down the noble gas column of the periodic table. This is because the atoms increase in size moving down the column. The boiling points increase moving down the column. Helium has the lowest density while Radon is the densest gas. This increase relates to the increase in atomic mass moving down the column. This is because the electrons in bigger noble gases are located away from the nucleus and held less tightly by the atom. MLA (Modern Language Association) "Noble Gases: Trends and Patterns." ScienceAid, scienceaid.net/Noble_Gases:_Trends_and_Patterns Accessed 23 Apr 2019. Chicago / Turabian ScienceAid.net. "Noble Gases: Trends and Patterns." Accessed Apr 23, 2019. https://scienceaid.net/Noble_Gases:_Trends_and_Patterns. Thanks to all authors for creating a page that has been read 11,415 times.